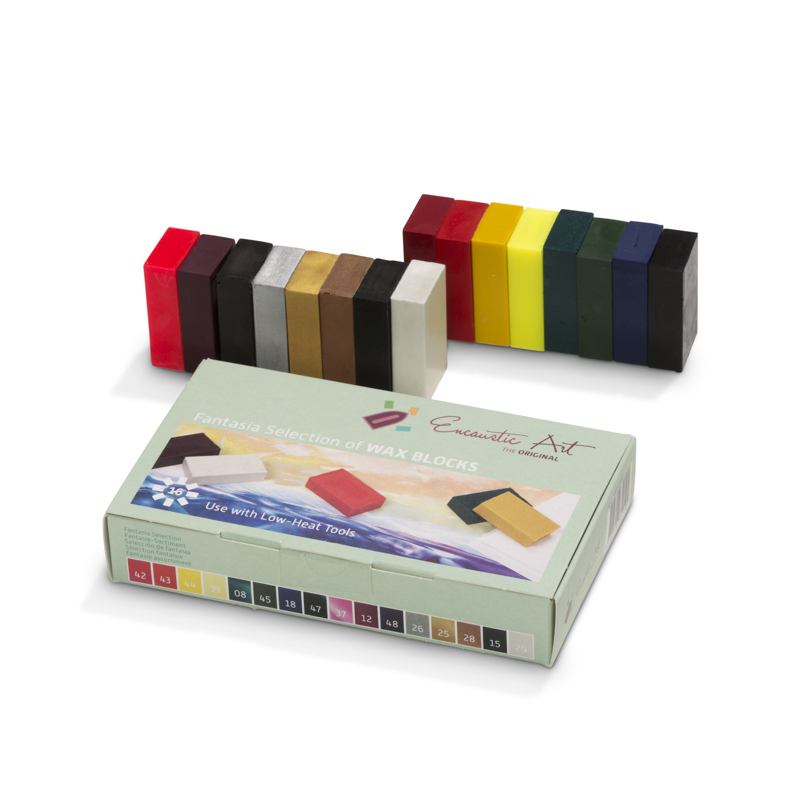 The Fantasia selection of 16 wax block colours is great for fantasy work. 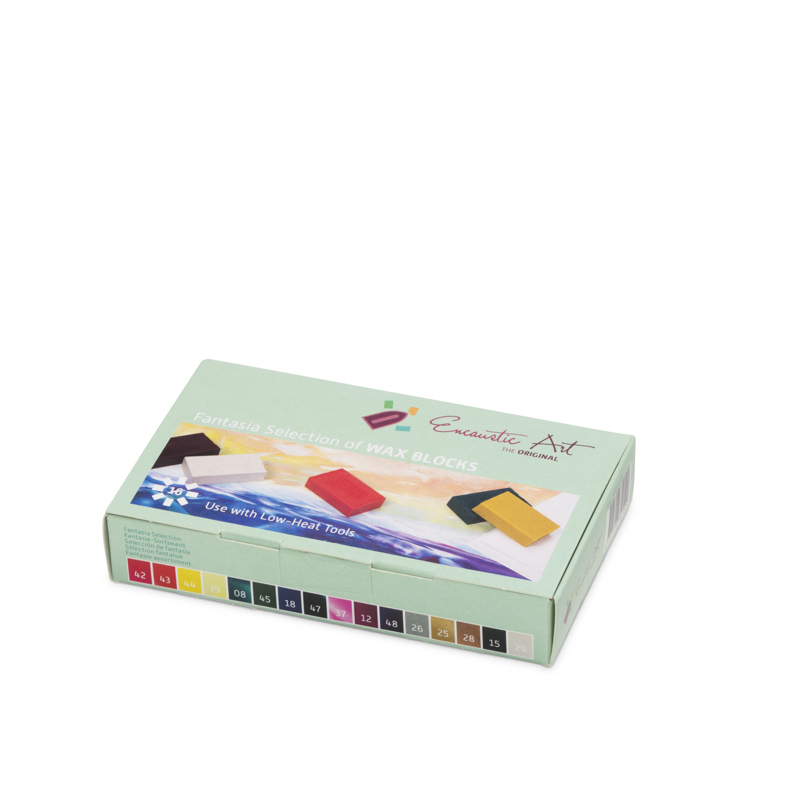 There are a good range of strong bright colours, some deep and dark ones too, and all the metallics as well. This palette of colours can produce vivid and atmospheric work straight from the box, but remember that mixing will bring many more tones and hues into play. 42 Magenta, 43 Bright Red, 44 Mid Yellow, 39 Neon Yellow, 08 Blue Green, 45 Sap Green, 18 Prussian Blue, 47 Indigo, 37 Neon Pink, 12 Red Violet, 48 Purple, 26 Silver, 25 Gold, 28 Bronze, 15 Black, 29 Pearlescent.